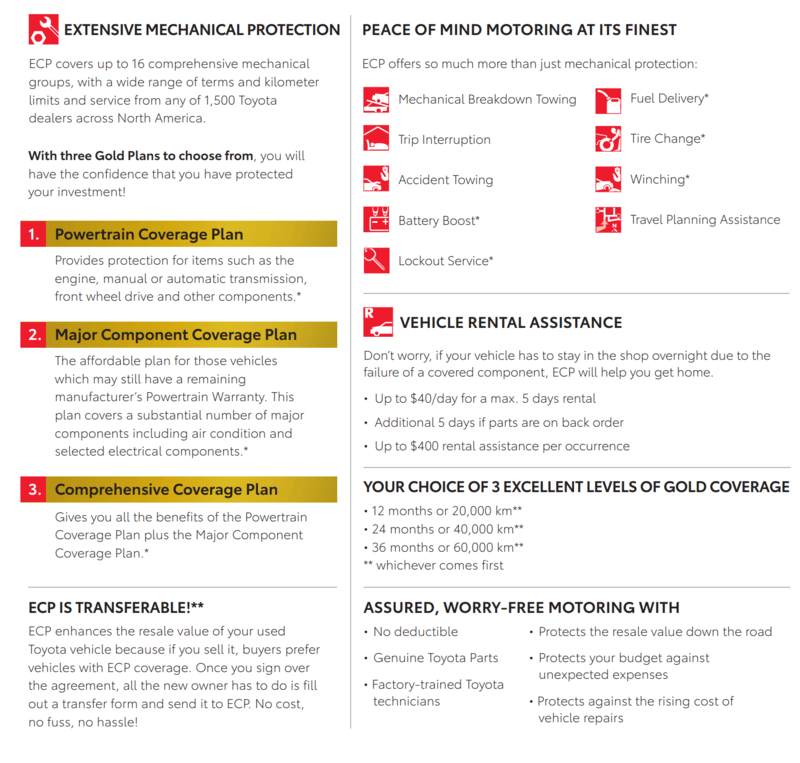 Drive with confidence knowing that you are covered with a Toyota Extra Care Protection(ECP) Plan. 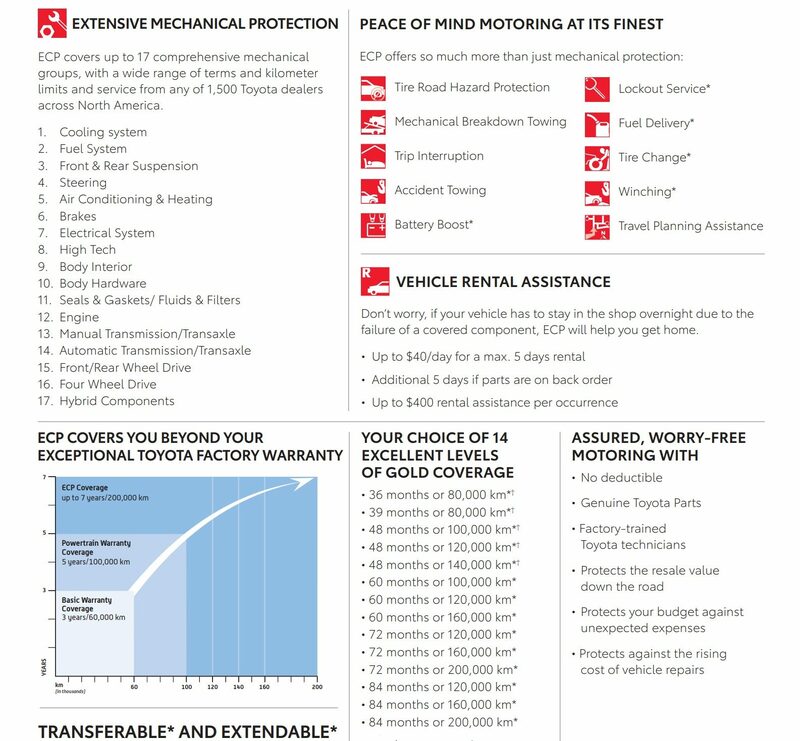 Inflation protected coverage from unexpected mechanical failure, road emergencies and so much more guaranteeing your peace of mind and protection of your investment while helping to provide enhanced resale value down the road. First 8 Oil and Filter Service and 1 Tire Rotation for vehicles with 6 months/8,000 km oil change intervals. 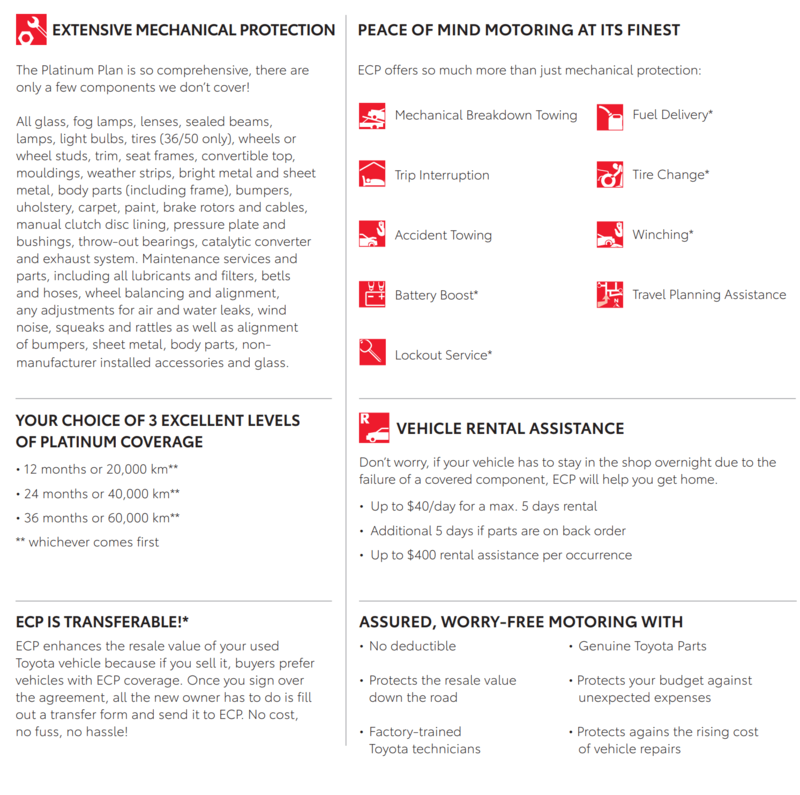 First 3 Years Maintenance Service Program for vehicles with 12 months/16,000 km oil change intervals. First 4 Oil and Filter Service and 1 Tire Rotation for vehicles with 6 months/8,000 km oil change intervals. 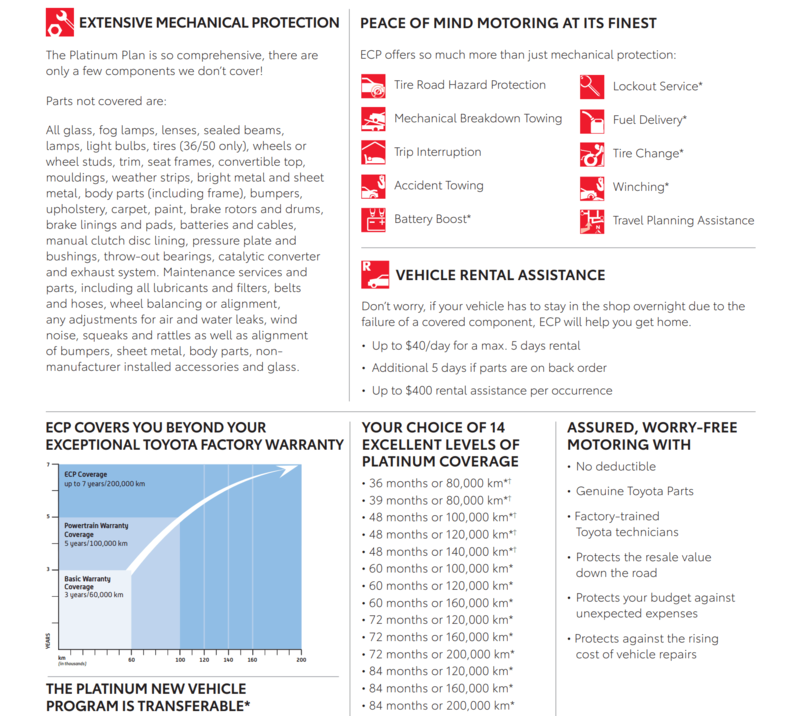 First 2 Years Maintenance Service Program for vehicles with 12 months/16,000 km oil change intervals.